The Tweet Sleeve is a design project created by Vanessa Sorenson. 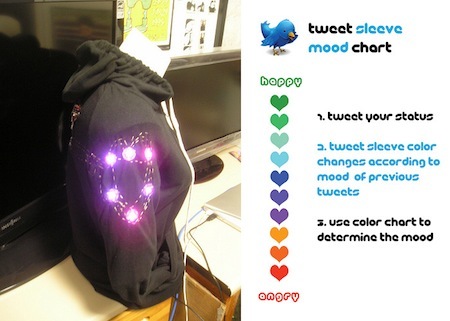 It is a wearable device that displays the general mood of your Twitter stream. Angry tweets cause your Tweet Sleeve to glow red. Once your mood improves, the colors shift to green.